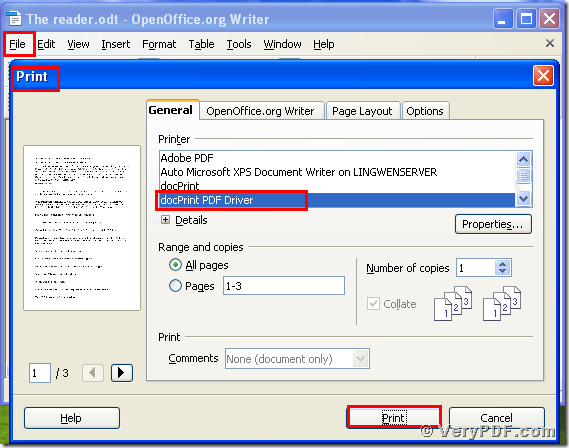 First allow me to introduce you docPrint Pro, because it has a virtual printer— docPrint PDF Driver, which can easily print documents of OpenOffice to TIF. 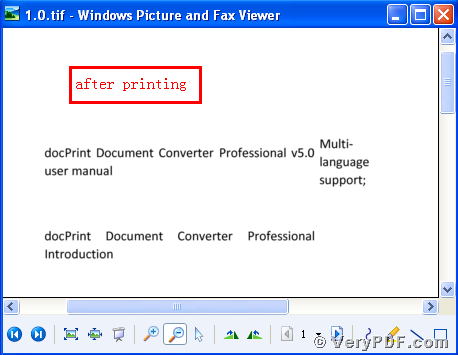 The docPrint Pro is short for the docPrint Converter Professional ,it can dynamically convert MS Office 97/2000/XP/2003/2007, WordPerfect, AutoCAD DWG, PostScript, Adobe Acrobat PDF and many other document types to Adobe Acrobat PDF, PostScript, EPS, XPS, PCL, JPEG, TIFF, PNG, PCX, EMF, WMF, GIF, TGA, PIC, PCD and BMP etc formats. 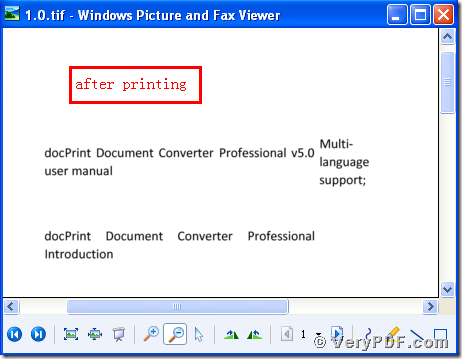 With docPrint Document Converter Professional you can convert your documents from and to 50+ formats easily. It has three applications, the GUI Version, the Command Line Version, the virtual printer. 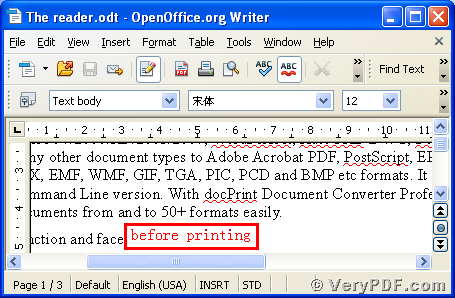 Here let’s come to the straight, the rest part of this article I will illustrate the operations of printing documents of OpenOffice to TIF. 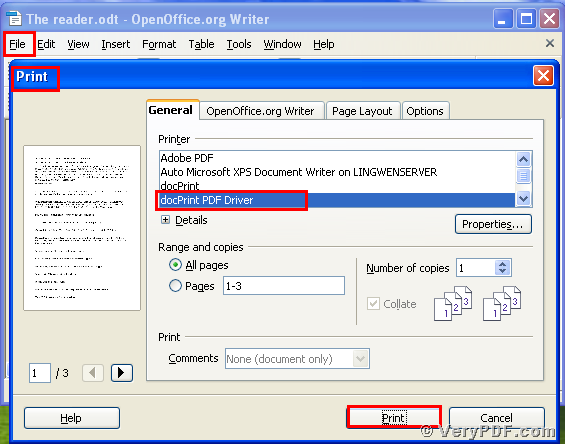 You will easily find that we had printed documents of MS Office to TIF by using docPrint PDF Driver. If you have questions , please send emails or leave message to me, I will reply you as soon as possible. 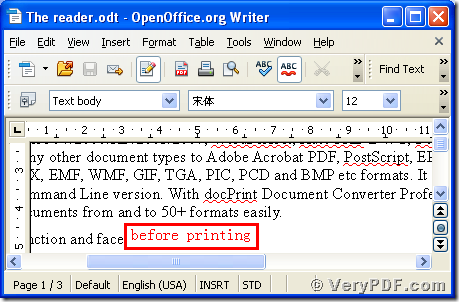 In addition, there is a basic version of docPrint Pro. It has the same functions as the docPrint PDF Driver. The price is very low. You can download it through this link: http://www.verypdf.com/artprint/docprint_setup.exe , if you want to purchase it, click to http://www.verypdf.com/order_docprint.html. Thanks for your reading. 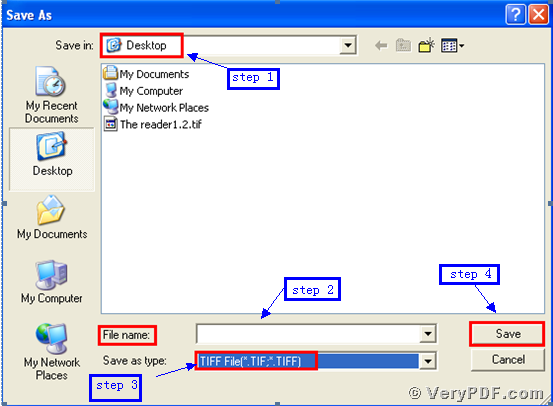 How to convert Word to png using Document Converter? 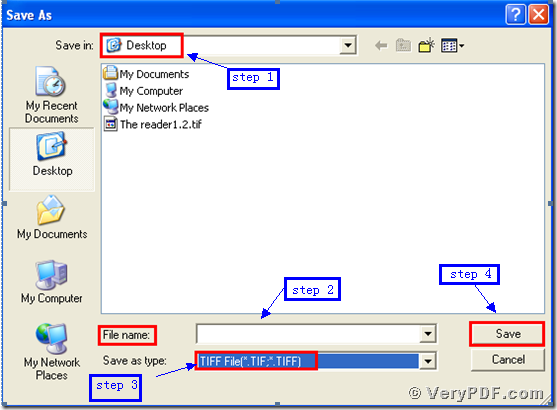 How to convert documents of Microsoft Office Excel to CIN? How to convert DOC to XPS via command line? This entry was posted in docPrint Pro and tagged docpirnt. Bookmark the permalink.